Our training and consulting services go hand in hand to offer our clients customised or off the shelf- support in the most cost-effective and efficient manner. We have a team of experts who are able to develop and customise solutions to the needs of organisations. Our 3 main channels to market are WWS Training & Consulting Company, The HeartMath Education & Research Company, and the Macquarie Institute. These organisations provide training and facilitation to gain outcomes involving improved culture and teamwork, improvements in communication, productivity, and customer service; and greater individual and team performance. At the same time our processes can facilitate health improvements, and stress reduction in the organisation and the individual. Our business units offer expertise to suit personal and organisational needs. We tailor our solutions and training to the needs of the client organisations. For more information about our training and consulting services click on the links below. Provides training and consulting solutions and services throughout Asia Pacific and the Middle East. We have a network of providers and experts able to analyse needs and and design program to meet a clients objectives. With more than 100 consultants and coverage of most major cities our clients can easily meet their objectives. We provide a range of customised training to suit your needs including technical training, safety training and organisational development training. Our expert educators can design a program to suit you-- or simply specificy an off-the shelf course. 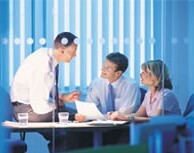 We offer tailor-made training programs for industry and business attendees. Our Training arm was established to provide technical training to our clients and in their use of advanced communications equipment to gain further safety, efficiency and productivity. Following that we developed and offered advanced technical courses in Communications systems. Over a period of more than a decade we have studied & sourced Australian, New Zealand and global best practices in Training, Development and Consulting. This allows us today to offer a fully customised training service to suit your workforce requirements. Today we are known for offering a wide range of training, development and associated consulting services. WWS International has delivery capacity and staff in both Australia and New Zealand. Using technical instructors with tertiary qualifications and maximum experience in the industry sector ensures the outcomes. Our instructors bring strong technical knowledge, hands-on experience and project management abilities. We have the capability to provide tailor-made training courses to suit your industry and requirements. We can measure and follow up as well as map training requirements to support any specific business goals and outcomes. Our services meet national and international benchmarked industry standards. Government agency, Warehousing, Packaging and many more. The Training & Development offered is based on world-leading best practices. We offer a range of consulting services to business and industry helping uncover the most efficient and effective way to improve operational efficiencies in an organisation and which ultimately maximises productivity and profits. Because we understand business this means that we ensure that key outcomes are gained when we work together with your staff. This means culture and business awareness develop and improve at the same time as technical and soft skills. We have redefined the training model away from the mundane class room style approach and bring about highly interactive sessions so that your staff are engaged and interested. This differs from the traditional training approach . Our customised courses ensure your people and organisation gain the maximum benefits. Specific programs are developed where your staff's particular needs, processes and technical skill requirements are mapped out. We are also differentiated by our experience in designing programs that fit in with your staff's training time frames and only minimally, if at all, disrupt their (your) operations. Courses can be offered early morning, lunch time, evenings and out of hours if required. - Discussion of training needs and your organisational needs and challenges. - Evaluation of possible financial grants to offset costs. - Flexible delivery of Group Training, 1:1 training, evaluation, follow- up, momentum building. Courses can be delivered in-house in your organisation or at our various training venues. Courses conducted by our Training & Development experts are structured to comply with local and international criteria. The Australian and New Zealand Qualifications Framework sets guidelines for recognition of prior learning and ability for staff to gain various certifications. Your company can partner with our Training & Development group to gain many benefits. Training programs may be cost effective solutions to your business needs and may also be offset. As an employer you may be eligible for government funding in areas relating to custom and course-work staff education programs. Grants and funding initiatives may be available for eligible staff programs. Although funding programs are many and varied, each has different qualification requirements. We and our partners have wide experience in assisting clients to define suitable programs for the needs of your staff and your business. We of course handle the complexities in preparing client applications in order to achieve funding outcomes to offset an organisation's investment. Our head office for Australia and NZ is in Sydney. However we have expert people in all cities including Sydney, Melbourne, Brisbane, Adelaide, Perth, Wellington, Auckland. And also in many regional areas. We are also able to deliver training programs on other continents via our own offices or those of our partners. Simply contact us for more information and we would be happy to assist. View the PDF brochure below for more information.